IC Awareness Walk Coming to North Carolina! On April 20, 2019, the Interstitial Cystitis Association (ICA) is excited to host our 2nd IC awareness charity walk, ICA: Walk for an IC Cure. The event gathers IC patients, caregivers, healthcare providers, therapists, friends, and families to create awareness, learn about IC, and to support people living with IC. 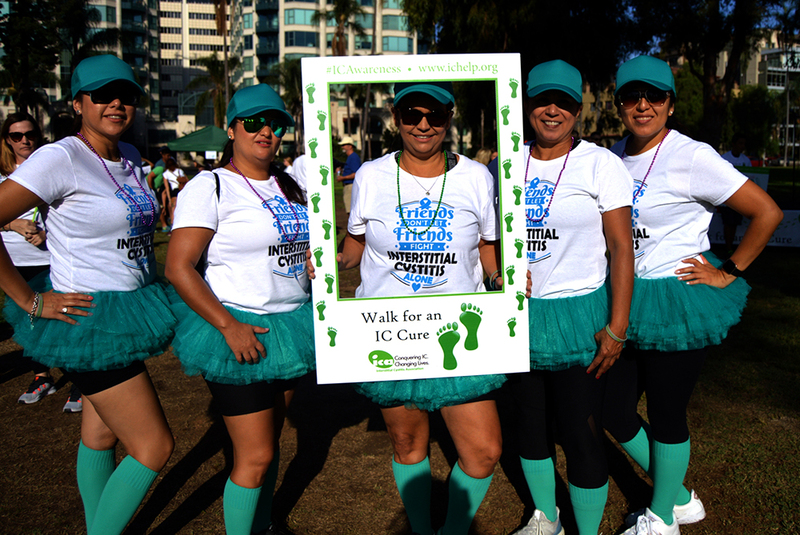 The first Walk in San Diego was a huge success and empowered IC patients and their families, and ICA heard the calls for an awareness walk on the east coast! Serve as a central hub for healthcare providers, researchers and millions of patients who suffer with constant urinary urgency and frequency and extreme bladder pain, symptoms of IC (which is also referred to as painful bladder syndrome, bladder pain syndrome and chronic pelvic pain). Remember to register before April 6th to ensure you receive the item giveaways at the walk, including a Walk for an IC Cure t-shirt (for participants who donate or raise $50 or more by April 6th)! ICA needs to order merchandise by April 6th, therefore, participants who register after April 6th cannot be guaranteed to receive the giveaway items. Can’t make the date, donate to show your support for more walks and IC awareness, and have your name listed on the website. The more names we list, the bigger the awareness impact.